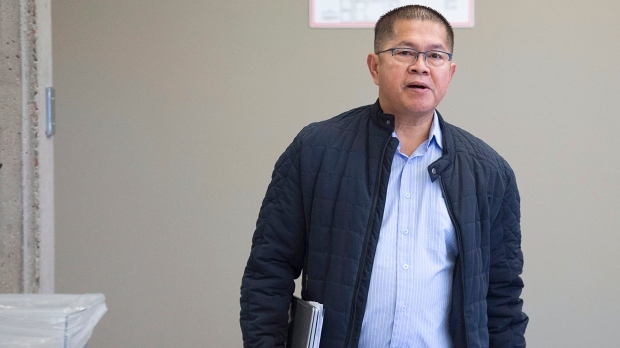 HALIFAX -- A Halifax businessman exploited foreign workers from the Philippines with promises of the "Canadian dream," a prosecutor told a sentencing hearing on Friday. "Where there is desire, there are people who are willing to exploit that desire," Crown lawyer Timothy McLaughlin said. "(Hector) Mantolino is a person who knew where these people were to exploit that desire." Mantolino, originally from the Philippines, pleaded guilty in December 2017 to misrepresentation under provisions of the Immigration and Refugee Protection Act. The owner of several cleaning and maintenance companies used the temporary foreign worker program to staff his companies, bringing 28 workers to Canada from the Philippines over a number of years. McLaughlin said the total difference between the official salaries and the amounts actually paid to the workers was no less than $500,000. McLaughlin told Nova Scotia Supreme Court Justice Glen McDougall that Mantolino took advantage of the workers because they knew Canada could provide them a better life. He said with the exception of First Nations, Canada has always been a country of immigrants. "They all came for a Canadian dream, and that dream was not for sale. This is a case where that dream was sold," said McLaughlin. The Crown is recommending a sentence of two years in prison, noting the need to deter employers and to fully denounce the offences against vulnerable workers. Joe Mari Mangunay said the businessman was "very nice to us." He said he was aware there were issues with his salary. "It's nothing compared to what I earned here in CanadaΓÇª opportunity," he said in front of a packed courtroom. "I am very thankful and so is my family." But Jamie Jason Sta Juana Jr. painted a much different picture, saying Mantolino was "heartless" and that he couldn't afford to buy diapers or formula for his child. "He broke my dream for the future of my family, and had a great impact in my life," he said. "The financial and emotional devastation is too intense to be able to describe in words." The defence was expected to make its sentencing arguments later Friday.